Are you already excited for the Halloween Underworld party, but dreading the hangover next day? Don’t worry about it, because Nabu Na’id has got you covered. At the 1st of November we will organize a hangover meal. We will be cooking several Middle Eastern dishes, both appetizers, main dishes, deserts and prepare drinks for you. The meal will start at 17:00 and joining will only set you back 4 euros. If this sounds like an awesome idea to you then please sign up by sending an e-mail to nabunaid@gmail.com. Please include if you have any allergies, are vegetarian or vegan. We will try to take all of your preferences into account. First Thursday of the month means monthly drinks at De Keyzer! Come drink away your hangover from the Terra and HSVL party with us this Thursday! 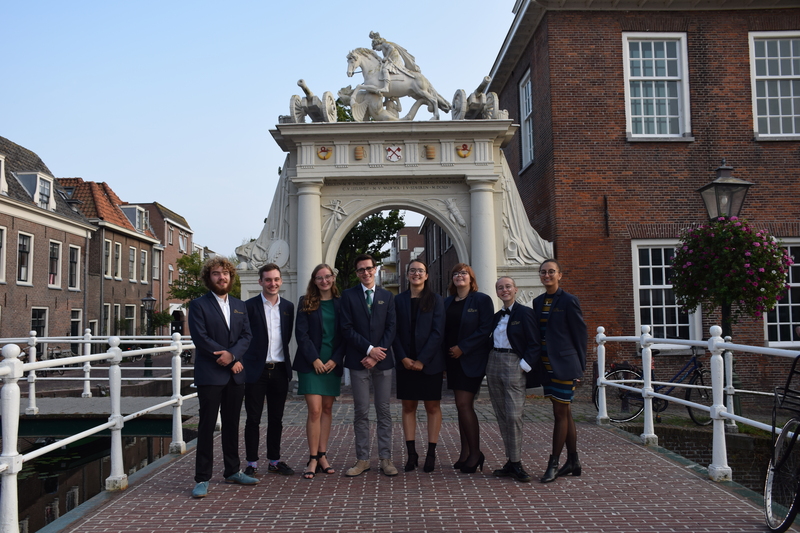 Are you thinking about studying one of Leiden’s Archaeology master’s programmes? Visit the Master’s Open Day and find out more about the programme of your interest. We look forward to welcoming you! Attend the sessions with programme information, listen to a student and an alumnus, and visit the Information Market where you can talk with students and staff of the master’s specialisations! Welcome to Maitreya Movie Night to enjoy Studio Ghibli movies! The first movie is Spirited away and starts at 19:00, the second movie of your choice (decided by a poll) starts at 21:00. The snacks will be provided by us but drinks have to be bought from the bar downstairs. Come join us and enjoy these masterpieces! Have you always wanted to take a look inside the RMO depot? Nabu Na’id together with the RMO are organizing a depot tour of the RMO. And after the depot tour we will go to the new exhibition ‘Gods of Egypt’. There are only 12 spots, if you want to join you have to send an email to nabunaid@gmail.com. The applications open on monday 5 november ar 18:00.